2019 SPONSORS WILL BE UPDATED SOON. More than three decades ago, John and Chris Gandomcar built the 100-acre Cottonwood Riding Club in Littleton from the ground up. There, they helped to pioneer polo in Colorado. They founded Denver Polo Club in 1986 and have since hosted visiting polo teams from around the world, including from India, the U.K., Pakistan, Australia, and others from from across the United States. 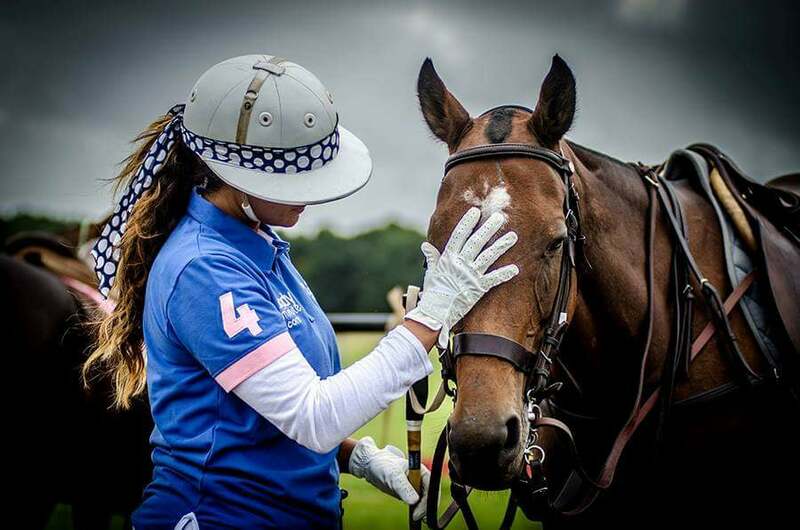 Erica Gandomcar follows in the tradition of John and Chris, keeping the history and traditions of polo vibrant in the region. Tara Gamdomcar is an accomplished competitor, horse trianer and instructor and competitor. Tara and Erica oversees the operation and riding and polo instructions programs of Cottonwood Riding Club in Littleton. Denver Polo Club is unique for its beautiful grounds, friendly atmosphere and cordial, wonderful members who help make this the best international club in the area. This gracious hospitality and warmth have created many traditions and fond memories through the years, for players and fans alike. 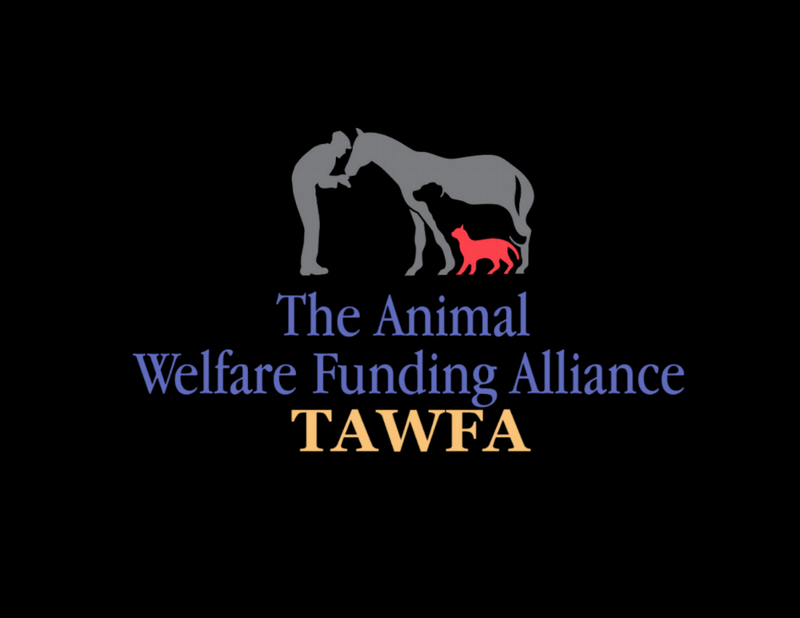 The Animal Welfare Funding Alliance Corp.
Jayne A. Cordes, Founder and Manager of the Animal Welfare Funding Alliance(TAWFA) developed the organization to be a fundraising arm to boots on the ground rescues who perform heroic efforts to save pets. Jayne, a luxury real estate broker with Coldwell Banker Residential Brokerage in the southeast Denver Tech Center area, incorporated TAWFA in her real estate business. She is promoting an alliance of Realtors uniting together to rescue pets, "One Home Sold, One Life Saved." Coldwell Banker and their Global Luxury Division is the event Title Sponsor. Coldwell Banker has long been associated with community giving back and has a special passion for the welfare of pets. They developed the "Homes For Dogs Project" in association with Adopt-A-Pet.com. This partnership has resulted in well over 20,000 dogs finding new homes. Coldwell Banker has taken their commitment to a new level by supporting the fiscal responsibilities of boots on the ground rescues. Their involvement and outreach in the community is a great asset in creating awareness of the critical funds needed for the volunteer organizations who rescue at risk pets for adoption. Banbury Cross, Acreage Custom Home sites directly south of the Denver Polo Club. Rocky Mountain Way is a fresh classic rock band based out of Littleton, Colorado.They bring hits from multiple decades that keep you dancing and singing along. From Tom Petty to Zac Brown, you will have a great time with this party band that aims to please! Thank you to Faith Young for supporting and promoting the event with her incredible network of wonderful friends and clients. Faith Young in an amazing inspiration to everyone around her. She was born and raised in the suburbs of Denver, Colorado. Her challenging life experiences gives her the ability to inspire, guide and empower others through their life experiences. One of her gifts is to help people create space that they didn't realize was possible. She also possess the ability to help others to attain more abundance in their lives. She is a dynamic speaker, trainer author and lifter of souls. She specializes in new developments and custom homes. She is one of the top, award winning, realtors in the nation and she serves on the board of the South Metro Board of Realtors Young Professional Network, in Colorado. We are so grateful to Andrea Price Valenzuela! She is one of our Founding Realtor Ambassadors for The Animal Welfare Funding Alliance(TAWFA). She donates monthly from her real estate closings to help rescue our pets. Andrea is a Colorado native and has lived in the Denver metro area most of her life. She became a Realtor in 2010 and, in that time, has had the opportunity to work on commercial, industrial, multi-family, residential and REO sales and management. She has been able to combine her love for horses and houses by selling farms, ranches and boarding facilities to fellow equestrians. She has had a lifelong love of dogs and has four rescue dogs of differing breeds. Her passion for rescuing horses started with saving her horse, Jack, nearly a decade ago and adding her horse, Indeo, to the mix a few years ago. In her spare time, she enjoys spending time with her husband and working around their ranch. She is excited to be a part of the Realtor Ambassador Program and is passionate about the mission behind TAWFA and helping at-risk animals. We are happy to announce that Andrea will be sponsoring one of our Polo Teams at The Polo Puppies and Prince Event. So come and spur her on as her team plays for the top prize!!!!!! Jay’s Valet is an established valet company known for being consistent, reliable, trustworthy and knowledgeable but most importantly, we aim to be kind in all that we do. We are honored to give back to the communities we serve and to support so many causes important to our company. Our team members have a soft spot for all furry creatures and we support multiple animal advocacy organizations throughout Colorado and Oklahoma each year. Our team members all consist of pet owners who often share funny stories and photos of their fur babies as part of normal office culture. Furry family portraits adorn our desktops while co-workers boast their animal rescue tales of “what they did last night” while we listen and sip coffee each morning in the bull pen. To sponsor an event like Polo, Puppies and The Prince is to encourage all humans to be kind to all creatures, big and small, which is the Jay’s Valet way. Being able to support events that rescue innocent lives really gets our tails wagging and we are honored to be a part of such an important cause. MiHi Entertainment provides cutting edge entertainment services including themed Photo Booths, GIF and Boomerang Booths with animated overlays, Slow Motion Video Booths, and Virtual Reality. Combining tech geeks with a genius creative team, each service has been given a '"MiHi" touch, ensuring unique and fun experiences for your guests. Engel & Völkers has a rich history in the polo industry. Their global network includes polo fields on several continents. A real estate company that focuses on lifestyle and living the life you love. Gaye Barrett brings this passion to the Denver Front Range. Gaye is an avid horsewoman and animal lover. Her dog Rowdy was found in a trash can in Pilot Point, Texas and rescued by All American Dogs. Gaye found Rowdy in 2011 at this fantastic no kill shelter. After finding Rowdy, White Oaks hosted several adoption events while Gaye resided there. He was not her first rescue and she believes that animals are blessings sent to enrich our lives. Gaye has returned to her beloved Colorado and is honored to help support local efforts to unite animals with deserving humans. Gaye is an equestrian property specialist and loves to find homes for people and their families, especially if their families include quadrupeds. She believes that real estate is about transitions in lifestyle. Lifestyle is everything. Whatever makes your heart full - ski,golf, fish,bike, ride, adventure or just enjoying perfect sunsets... the Colorado lifestyle has so much to offer! The luxury global network provides a connection to a Realtor that truly lives the life. She lives to bring joy to her clients and their families by making their dreams a reality. The Keep is a spectacular gated custom-home community just minutes from Denver and Castle Pines. Beautifully sited on 1,100 acres of pristine land, including a 745-acre nature preserve, it comprises just 64 environmentally friendly country estates ranging from four to 11 acres. With a private trail system and a 100-mile panoramic view of the Front Range, a home in The Keep is like having a mountain retreat just minutes from the office. Formerly a part of Colorado’s legendary Cherokee Ranch, the community adjoins 3,500 acres protected by a conservation easement under the auspices of the Cherokee Ranch and Castle Foundation. Founded in 1952, Koelbel and Company is Colorado’s longest-operating family-owned real estate firm, known for premier real estate developments throughout Colorado. A Special thank you to iHeart Radio! Their support of the event has been amazing!!! It is awesome that a radio station with a powerful audience can really enhance the word about animal rescue in general which only helps all our pets and people. In addition to their public service announcements, they have presented the Polo, Puppies and The Prince event with an amazing array of very exciting Private Auction items. With over a quarter of a billion monthly listeners in the U.S., iHeartMedia has the largest reach of any radio or television outlet in America. As the leading media company in America, iHeartMedia delivers music, news, talk, sports and other content to diverse audiences across multiple platforms, including: broadcast stations; online, via iHeartRadio and on its stations' hundreds of websites; HD digital radio channels; satellite; smartphones; iPads and other tablets; in-vehicle entertainment and navigation systems; and via live events. We are thrilled to have Deb as a sponsor. We are thankful for her long track record of helping our pets. Deb is an essential asset with the hosting of the event. Deb Nabb “The Mutt Master” is a dog behavior specialist and trainer with 30 years of experience. She is a dog advocate, radio show host (The Mutt Master Show on IHeart Radio), author, public speaker, and has appeared on TV and radio shows and magazines all across the country. Deb is also a court approved dog expert. She has helped to rehabilitate thousands of dogs and specializes in fear aggression, social dominance, neglect and abuse disorders, body language, and displacement behaviors. Deb’s passion is to educate pet parents and provide the most humane, effective, and current techniques to increase the bond between you and your dog so you can live a happier, relaxed, and more peaceful life together.